After the passage of the 31st Constitutional Amendment from both the houses of the Parliament as well as by the provincial Assembly of Khyber Pakhtunkhwa, the merger of FATA with Khyber Pakhtunkhwa awaited just the assent of the President of Pakistan. On Monday, the President did put his signatures on a key piece of legislation, but it wasn’t the 31st Constitutional Amendment Act. Instead, the President signed a questionable FATA Interim Governance Regulation of 2018. The draft of the Regulation, a copy of which is available with Daily Times, seems to be old wine in a new bottle. Differences in the draft from the draconian Frontier Crimes Regulations (FCR) it stands to replace are conspicuous by their absence. Infact, in some places, the Regulation puts the FCR to shame with the kind of draconian measures proposed in it. The 15-page document starts with a statement of objective, which is ‘to provide for an interim system of administration of justice, maintenance of peace and good governance in the Federally Administered Tribal Areas and repeal of the Frontier Crimes Regulation, 1901’. This good intention is very soon lost as the text enters a very familiar, and a very dark territory. The Regulation converts the office of the Political Agent, that Tzar of FATA, into that of the Deputy Commissioner. The Additional Political Agent becomes the Additional Deputy Commissioner, and the Assistant Political Agent gets renamed as the Assistant Commissioner. The tribal agencies get replaced by tribal districts and the frontier regions are made sub-divisions. The Regulation continues to maintain the institution of the jirga as the Council of Elders and as the Qaumi Jirga, just like FCR. Also, like FCR, too much discretion has been put at the disposal of the Deputy Commissioner and the Assistant Commissioner (who would also act as a judge in criminal cases, when designated by the Governor). Another draconian aspect of the Regulation is the precedence it gives to the so-called ‘rewaj’ or local customs, to be determined by the Council of Elders. If history is to bear witness, it is clear that such customs have almost always worked against the interests of women and the poor. Whatever respite women might have anticipated in the wake of the passage of the 31st Constitutional Amendment, has been instantly evaporated after the signing of the Regulation. Another worrying provision of the Regulation entails the negation of any jurisdiction of any civil court of the country to call in question anything being done in the region. This also goes against the spirit of the merger, whereby the judicial and law enforcement mechanism has to extend to FATA immediately. The requirement of time till such an extension may practically be possible owing to the establishment of the required infrastructure is understandable, but this kind of absolute blackout will stop the momentum of transition, if the state has chalked out any roadmap to follow. The extension of the High Court and the Supreme Court jurisdiction, or even provision for the right to appeal to the higher courts, is nowhere to be found in the Regulation. In fact, the two-page long Supreme Court and High Court (Extension of Jurisdiction to Federally Administered Tribal Areas) Act 2018 does not mandate any state authority to specify any roadmap for the extension of jurisdiction. Instead, under its provisions, the judiciary cannot extend its powers and establish its structures until the government notifies the higher judiciary to do so, that too, in selected areas from time to time, not in the entire region merged with Khyber Pakhtunkhwa. Another ridiculous and discriminatory provision of the Regulation entails prohibition of establishment of new hamlets, village-habitations, towers or walled enclosures on the frontiers of the country, without the prior permission of the Deputy Commissioner. The Governor has the power to order relocation of villages and settlements situated in close proximity of the border. The President has signed the Regulation under Article 247 of the Constitution which, he must be fully aware, stands repealed by both the Houses of the Parliament and the Provincial Assembly of Khyber Pakhtunkhwa with 2/3rd majority. Technically, the repeal will not take effect until the assent of the President, who has ensured that he will sign the 31st Constitutional Amendment Bill after the Regulation. Speaking to Daily Times, an official in Ministry of Law and Justice said that the PMLN government had probably enacted the Regulation ‘in good faith’ to prevent a governance vacuum in the region. However, the government could have proceeded with the Regulation after debating it in the elected legislative houses. This way, it could have avoided the vacuum while taking elected representatives of the Pakistani people on board its proposals for the interim setup. 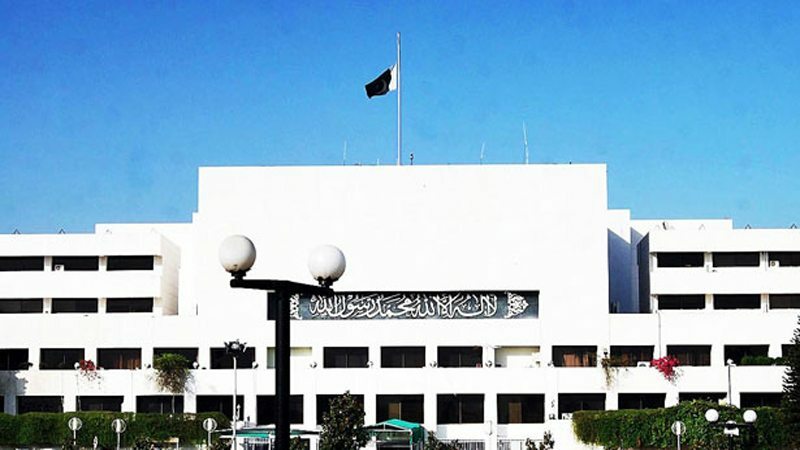 The timing of these developments is especially curious since the dissolution of federal and provincial legislatures is just four days away, and the provincial assembly of Khyber Pakhtunkhwa has already been prorogued, while the National Assembly has adjourned its sitting on Monday, with its prorogation date probably just 48 hours away. Commenting on the matter, Afrasiyab Khattak, a senior leader of the Awami National Party, said that it was unfortunate that the government did not deem it necessary to discuss the Regulation with opposition parties or debate it in the Parliament. He said the Regulation was FCR reincarnated, and it had the bureaucracy’s imprints all over the document. Farhatullah Babar, a senior leader of Pakistan Peoples Party, agreed and said that bureaucrats had drafted the Regulation ‘in the darkness of the night without discussion and debate’. He said the draft regulation was kept secret from everyone, adding that those who managed to secure its copies did so through informal channels. “On the one hand, the president is correctly divested of all executive and legislative powers with respect to FATA, and on the other, the executive has itself assumed powers to legislate the interim regulation,” Babar lamented, as he pointed out the contradiction in the matter. He said that the political parties and the civil society should demand that the interim regulation be placed before the Parliament for discussion before its approval. But if the government does not table the Regulation before the House for debate in the next two days, this won’t be possible until the new Assembly is elected on July 25. Further, Babar emphasised that being an extraordinary legislation like military courts, the Regulation should have a sunset clause in it. “If it is promulgated in its present form, we should take it to the Supreme Court on the touchstone of violations of fundamental rights,” he said, adding that since Article 247 had been struck down by the Parliament, the Regulation could be easily challenged before the SC. “A rigorous judicial oversight and heated parliamentary debate will put some fear in bureaucracy and blunt its sharp edges”, he added. The Regulation is also significant in the backdrop of the summer offensive in Afghanistan as announced by the Taliban. The inability to extend the jurisdiction of law enforcement machinery as well as of the judiciary will go to the advantage of militants who have already intensified their activities in areas within Waziristan and other ‘tribal districts’. These militants have not only increased targeted killings of civilians but also the attacks on the armed forces of Pakistan.